The Muscular Dystrophy Association (MDA) is leading the fight to free individuals, and the families that love them, from the harm of muscular dystrophy, ALS, and related life-threatening diseases that take away physical strength, independence, and life. Previously, MDA was using a group of antiquated homegrown technology systems and different databases across multiple regional offices, which created silos between the different areas of the organization, caused an overlap in the tracking and reporting of data across areas and systems, and required manual processes that users had to remember and execute in order to achieve any results. “Trying to manage our data in multiple systems, and difficulty in system accessibility, was creating more problems than efficiencies. We worked with Salesforce.org implementation partner Cloud for Good to put the Salesforce platform to work for our organization,” stated Martin Teat, MDA’s Vice President of Information Services. With the help of Cloud for Good, MDA built a new Family Care Management system with the Salesforce Nonprofit Success Pack (NPSP), a HIPPA-compliant solution. By customizing the NPSP to meet its unique programmatic needs with custom objects and fields and building out process automation, the organization immediately saw a 25-50 percent reduction in staff time. One of the crucial services offered by MDA is their equipment loan closet, where medical equipment, such as a powered wheelchair for example, is loaned out and repaired as needed. MDA can now see where equipment is located and track inventory to better coordinate the dispensing of medical equipment to individuals and families increasing MDA personnel productivity by 25 percent. The organization has seen significant decrease in costs due to being able to search its nationwide database instead of having to look only for the equipment in a local office. Further customizations provide more visibility to track invoices and purchase orders for medical equipment allowing staff to pull reports and provide valuable information to MDA families and vendors. 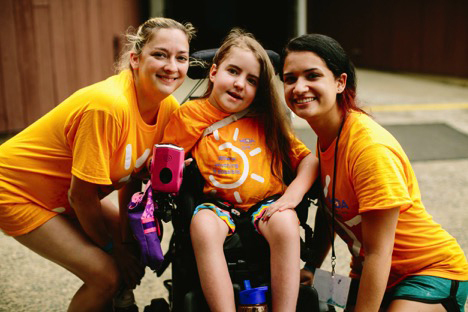 The Family Care Management system was customized to track support groups and attendance, along with tracking the sessions within the nationwide MDA Summer Camp program. Additionally, the creation of a security model gives users the proper record access based on their job function and office location. Customized reports and dashboards were created for specific cases at MDA, allowing insight into trends at both a national and division level. For example, MDA was able to produce a report from their new Family Care Management system of all families living in flooded parishes in Louisiana that may have been impacted by the August 2016 floods. This report was used by the MDA’s family support and clinical care team to reach out to these families to confirm their safety and inquire if they required assistance. “Cloud for Good migrated all of our historical data from each of the legacy systems to our Salesforce platform and provided our end users with extensive hands on training in the new system. They took great care with our data and our people,” said Martin Biernat, MDA’s Project Director. 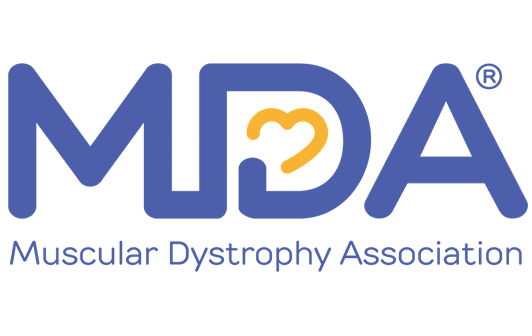 MDA was able to break out of its silos and antiquated databases, granting access to more users securely from desktop and mobile devices, experiencing positive results on the platform within days of going live with the system. Family Care Specialists are now able to easily track client appointments and relationships between family members and physicians. MDA recently participated in a webinar with Salesforce.org and its implementation partner Cloud for Good. Learn more about their Salesforce solution by watching this webinar.